Traverso. 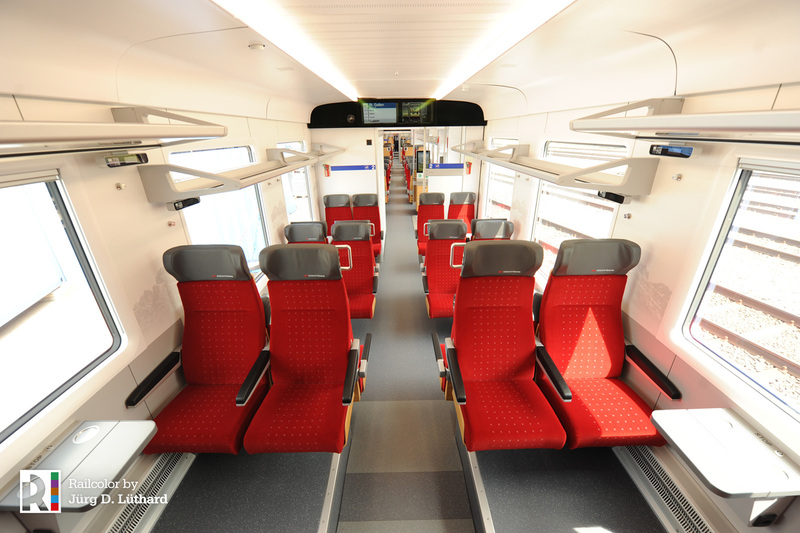 The brand name SOB gave to its upcoming fleet of new generation FLIRT trains that will soon run through the Voralpen-Express line. While you may be well familiar with the shiny copper exterior from our recent article, this time we are giving you a virtual private tour of what can be seen inside the train. 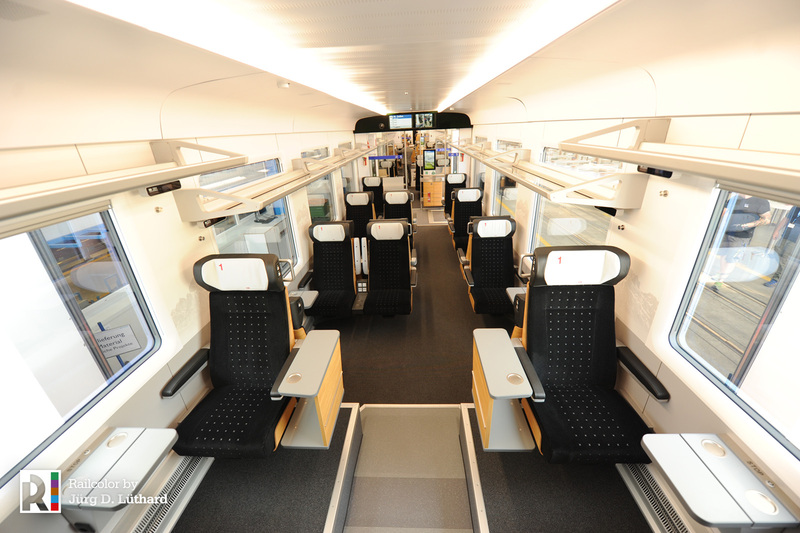 We’re starting our tour with some spacious views of the Second Class salons. 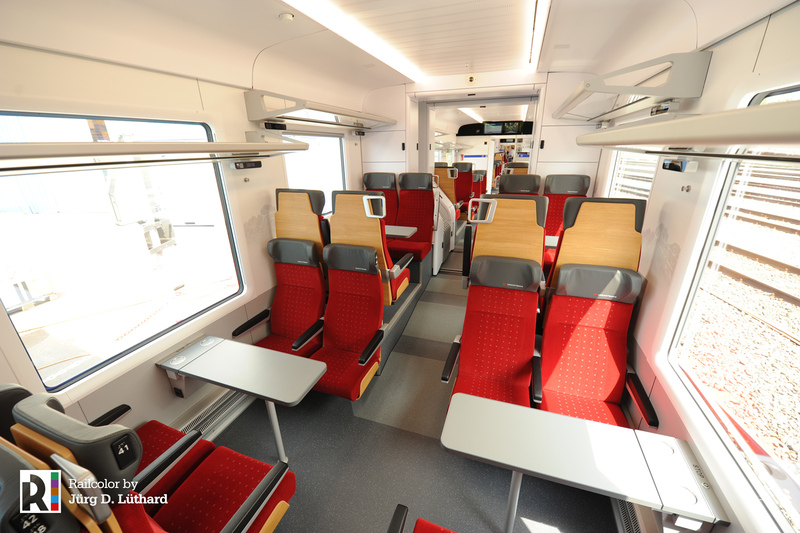 A total of 291 seats of this type are available in the eight-car trains, while 175 is the number in the four-car modification. All of them are red. 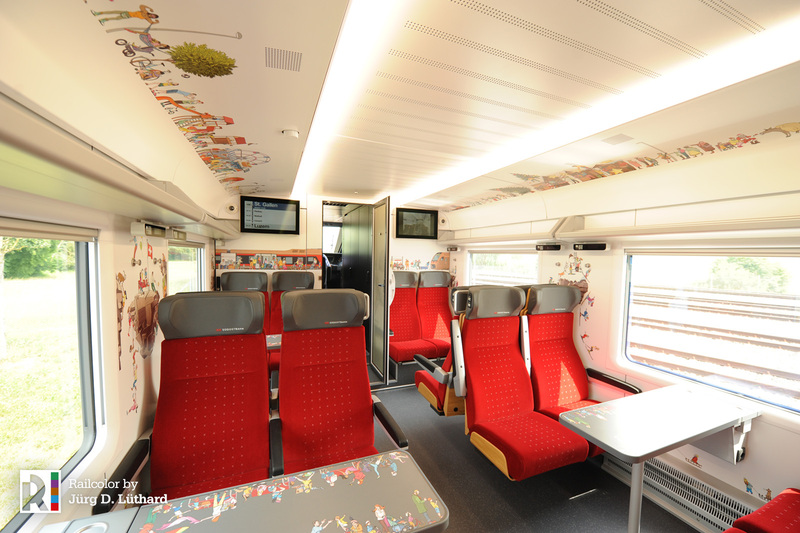 Note the visually appealing graphics that are decorating the inside of the train head/tail. 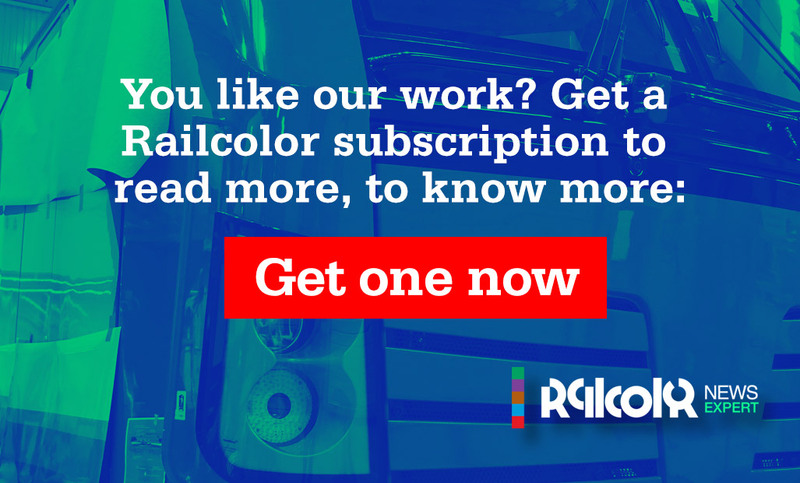 A true eye-candy for the smallest train travelers! The driver’s cab is also seen in the bottom. But more on that later. If you prefer to add more value to your traveling experience, then First class is for you. 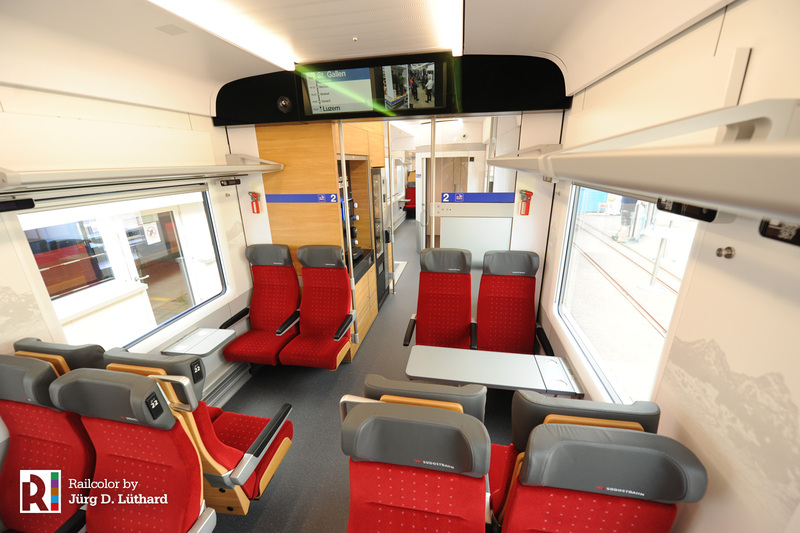 68 seats are available in the eight-car trains, and 22 in the four-car variant. The seats here are black and the feeling of spaciousness has been increased dramatically by the use of 3 (instead of 4) rows of high comfort seats.